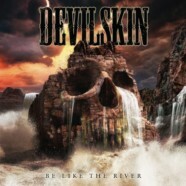 Popular New Zealand based hard rock band Devilskin has released the Official Music Video for the second single off of their second studio album, “Pray”. The video was directed by Tim Van Dammen on location in Hamilton, New Zealand, with the album recorded at Modern World Recordingstudio in the UK with Producer Clint Murphy (with whom they recorded their No 1, Platinum selling debut album We Rise). Be Like the River is available to stream on Spotify and Google Play, and download on iTunes.